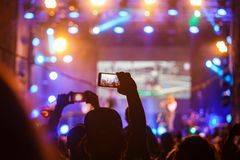 People at concert shooting video or photo. 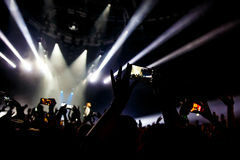 Crowd, hands. 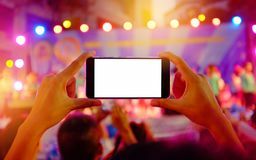 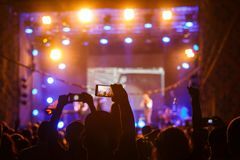 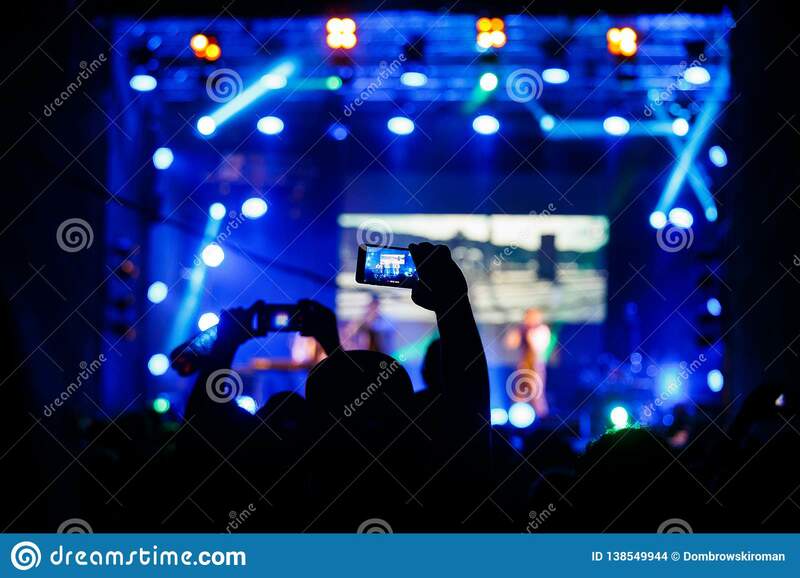 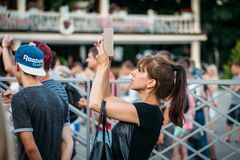 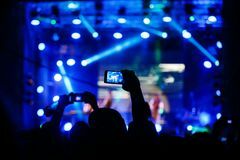 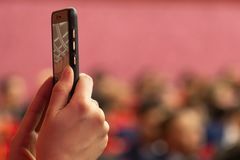 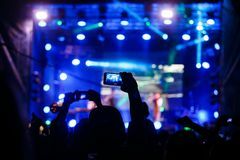 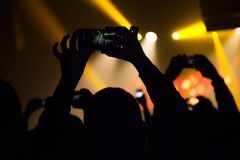 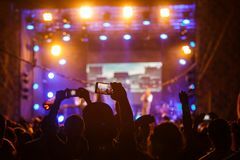 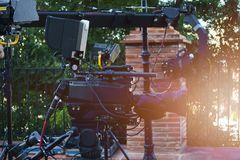 Yessentuki, Stavropol Territory / Russia - August 12, 2017: woman at concert shoots on phone outdoors People watching a concert and someone shooting photo and video with a cellphone Blurred background. 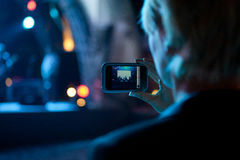 Reportage photo or video shooting on a mobile phone. 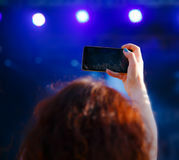 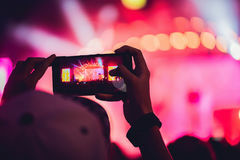 The girl hold the smartphone in selfie mode or broadcast Broadcast camera at outdoor in stage with light and crane camera Hands holding a mobile smartphone records colorful live concert with blank white screen People enjoying rock concert and taking photos with cell phone a Business woman taking photo with cell phone at a concert Woman with phone shooting concert, view from behind, blur effect People at concert shooting video or photo.